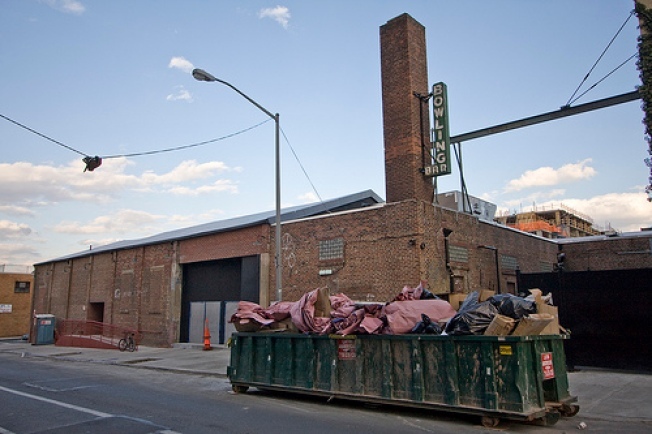 Brooklyn Bowl, the much delayed Williamsburg bowling alley, music venue, bar, restaurant, and party palace originally scheduled to open last year on North 12th and Wythe has just taken a vital step closer to its debut. Please note the above neon sign. Suddenly, it looks like the warehouse bowling alley, which is now scheduled for a May 1 opening, has been there forever. A closer look here.